Arsenal will this weekend face Huddersfield Town and the club has issued out a statement on its official website to tell the fans about the current team news ahead of this game. It has some great news for Arsenal fans as some players have returned. Mkhitaryan has not played for the Arsenal senior team ever since the gunners lost 2 nil to Tottenham Hotspur in the Carabao Cup but he has finally returned to full training according to the club. The Armenian international might take part in this game or at least be on the bench because he did play 45 minutes in Arsenal’s Under-23 game. 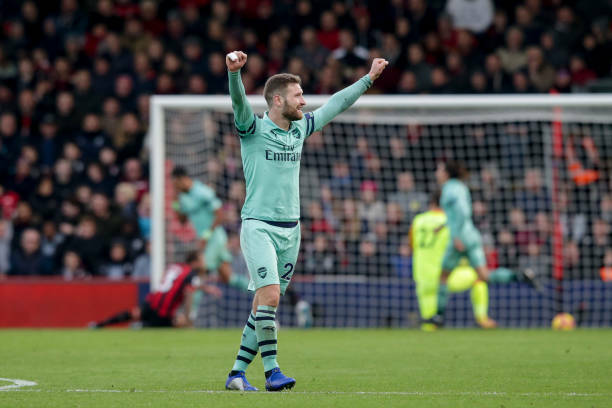 Shkodran Mustafi was subbed off on Sunday in Arsenal’s game against Manchester City on Sunday but he has also returned to full training ahead of the Huddersfield Town game on Sunday. Unai Emery will be happy with this because they are currently in an injury crisis, so losing another centre back would be a calamity for his team. Sokratis Papastathopoulos got injured in Arsenal’s game vs Manchester United in the FA Cup and he has started light training. The club says that the Greek international will return at the end of this month. Granit Xhaka missed Arsenal’s match against Manchester City on Sunday because of a groin injury but he is currently being assessed ahead of their game against Huddersfield Town. Holding, Welbeck and Bellerin are still recovering from their surgeries.